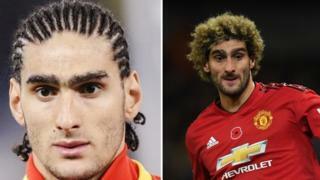 Few footballers have haircuts that make the news, but along with David Beckham's mohawk, Paul Pogba's blonde streak or Brazillian Ronaldo's tufty fringe... Fellaini's hair is more than just hair. It's iconic. 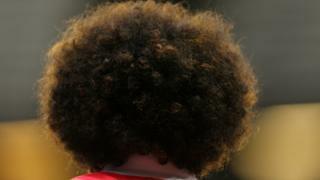 He's experimented before, with cornrows and a weird blonde/ginger dye - but Fellaini always returned to his trusty fro. 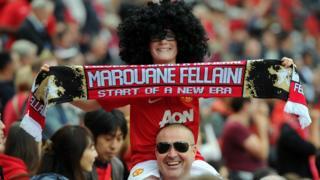 But now, Fellaini's famous curly locks which bounce as he zooms around the football pitch are no more. 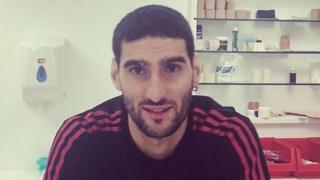 Writing on his Instagram, Fellaini said "New year, new look #birthdaytomorrow"
As for Manchester United and Belgium fans we now live in a world where the 'Fellaini wig' will no longer work on the terraces... Did it ever? ?